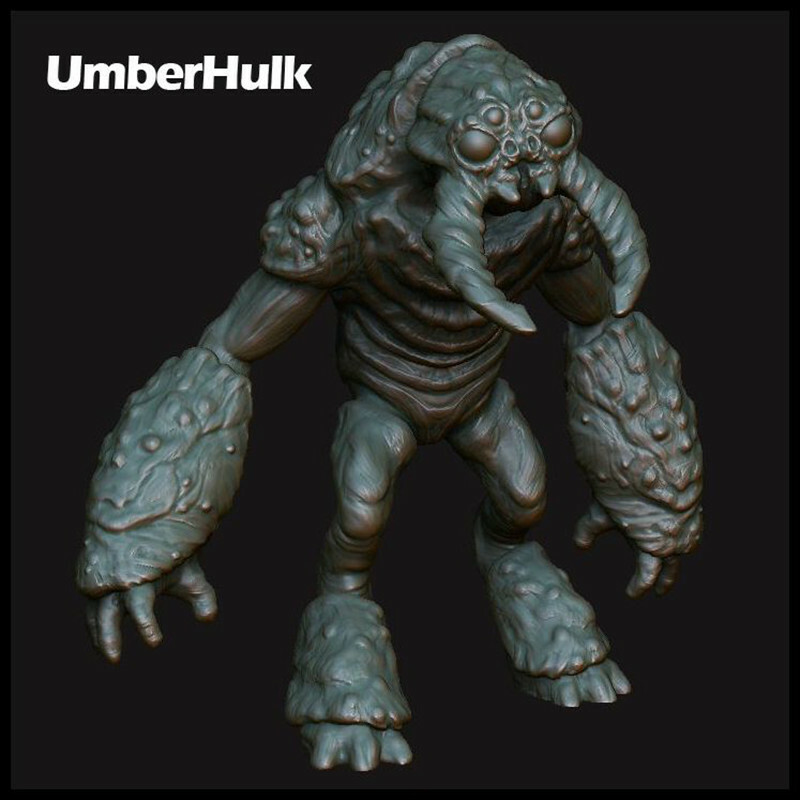 Comet Lord Miniatures started a Patreon for 3d printable models in Feburary and one of their first minis was a Bulette. 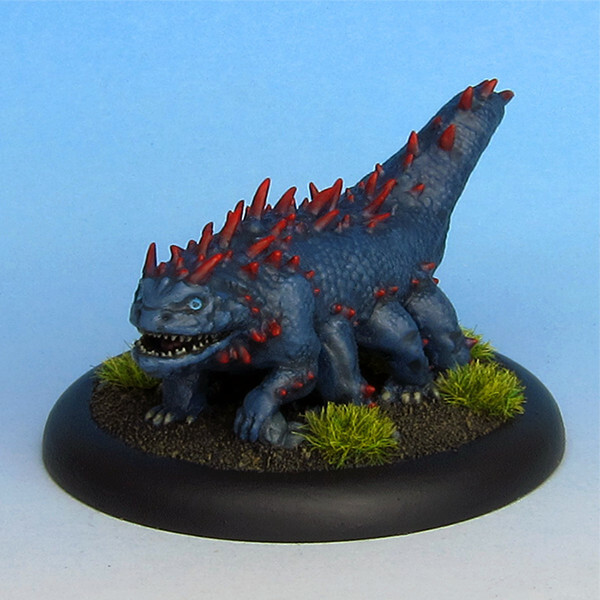 While most Bulette minis available are very static, this one has a great dynamic pose, which really brings it to life. 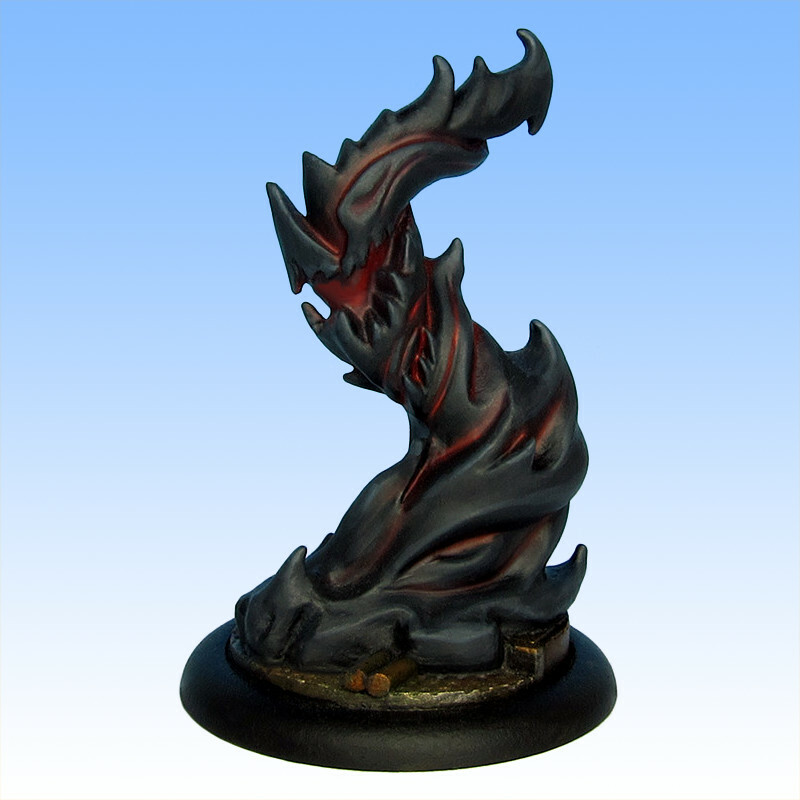 Creature Caster is a manufacturer of large scale resin monsters from Canada, specializing on demons, but also doing some dragons and elemental beeings. 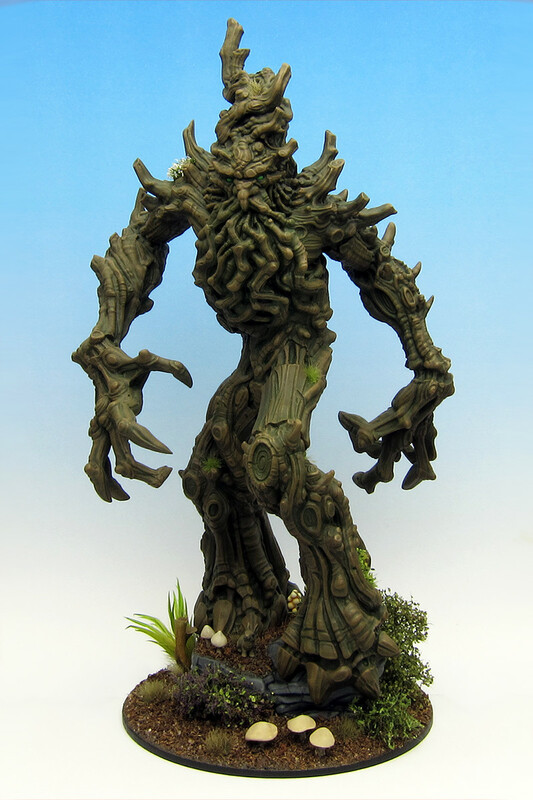 I backed their Kickstarter back in 2014 because I loved their original Treewalker. 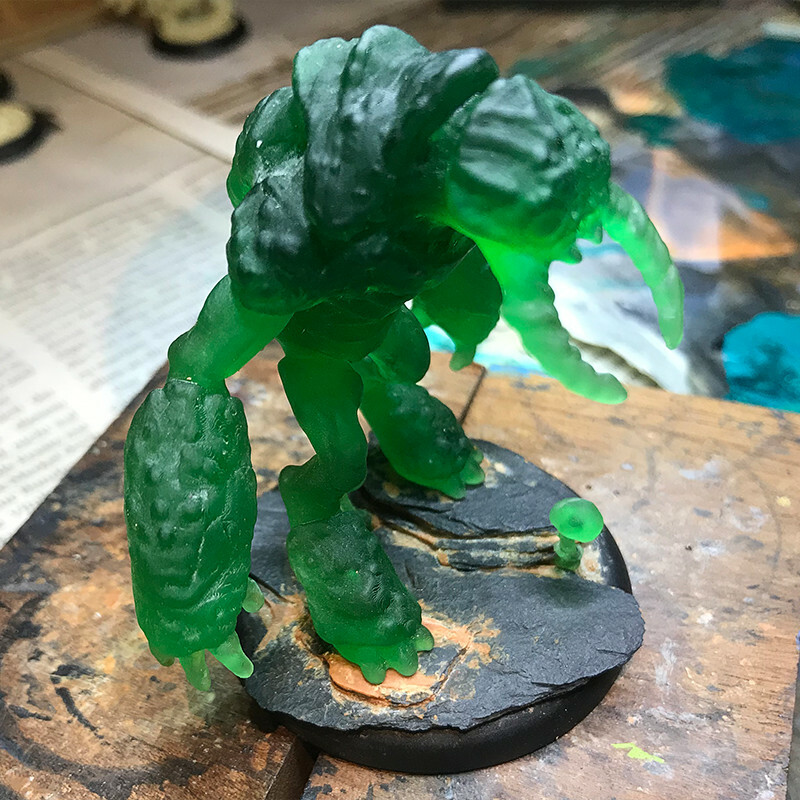 The quality of the mini I got was flawless, but their Boreal Treewalker, released after their Kickstarter was fulfilled, really caught my attention. 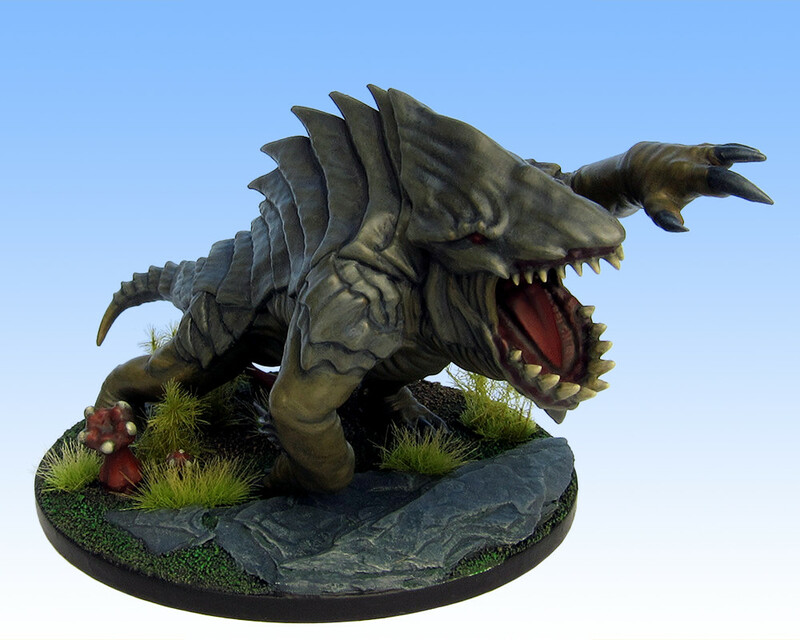 This huge mini is nearly 200mm tall and I enjoyed building and painting it very much. 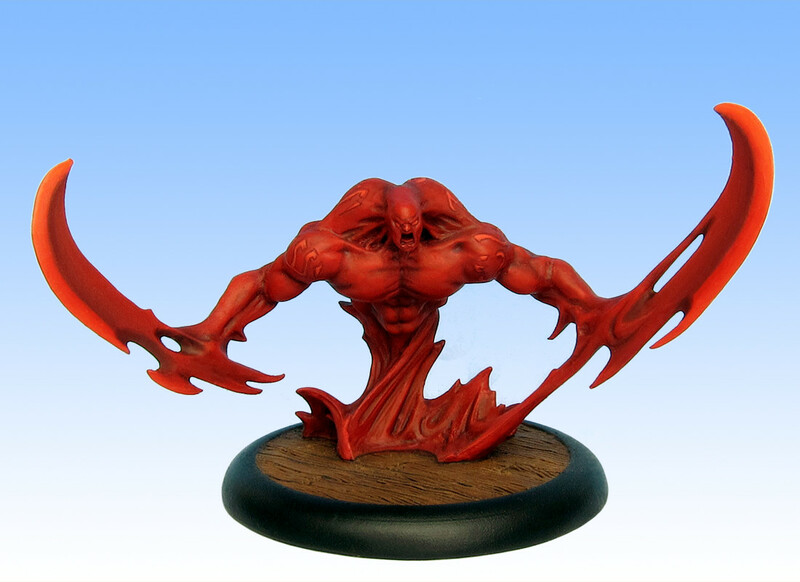 It’s really great to see how many fantastic new minis turn up on the net as printable 3D models almost daily. One good source for these minis is Patreon. More and more talented artists share their work on the site for mostly very reasonable monthly fees. I was thrilled to see a brand new Monster Mini Patreon last month by Rocket Pig Games. 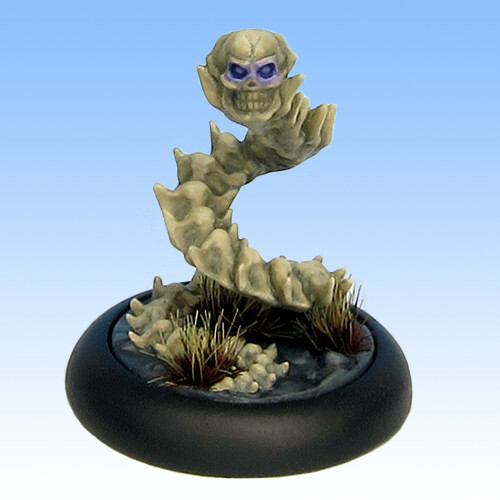 One of their first minis was a fantastic Bone Naga, which I immediately printed and painted. There are a lot of memorable iconic D&D monster, but for me the one embodying D&D more than any other is the Beholder. 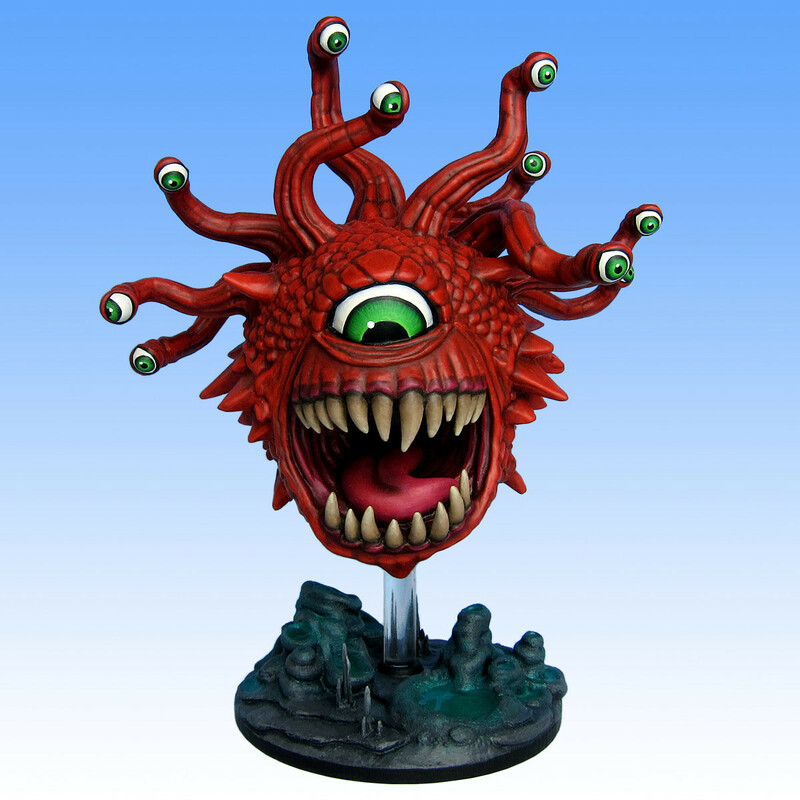 One of the best Beholder minis around is, without a question, the limited collector’s edition Beholder from Gale Force Nine. Sadly the mini is so rare nowadays that I could not get my hands on one after trying for more than one year. Then I found the “Shadow Beholder” from D&D Miniatures Rage of Demons set. This plastic mini is not as detailed as the GF9 resin one, but the sculpt itself is great. Sadly the mini was a pain to work with. It was not glued together well and came with large mold lines. Had to cut it apart, glue it together again and resculpt a lot of scales. Also had a lot of problems to get the base coat to stick to the plastic and had a lot of problems with paint peeling off. In the end it was all worth it. I’m very pleased with the result and the large mini has a great presence on the table. Just finished another addition to my RPG monster set, a beautiful Basilisk found on Thingiverse. Due to all of the spikes the print was a little tricky, but it turned out great. Elementals, beings formed directly from the forces of the elements are time-honored monsters and can be found in many Monster Manuals. 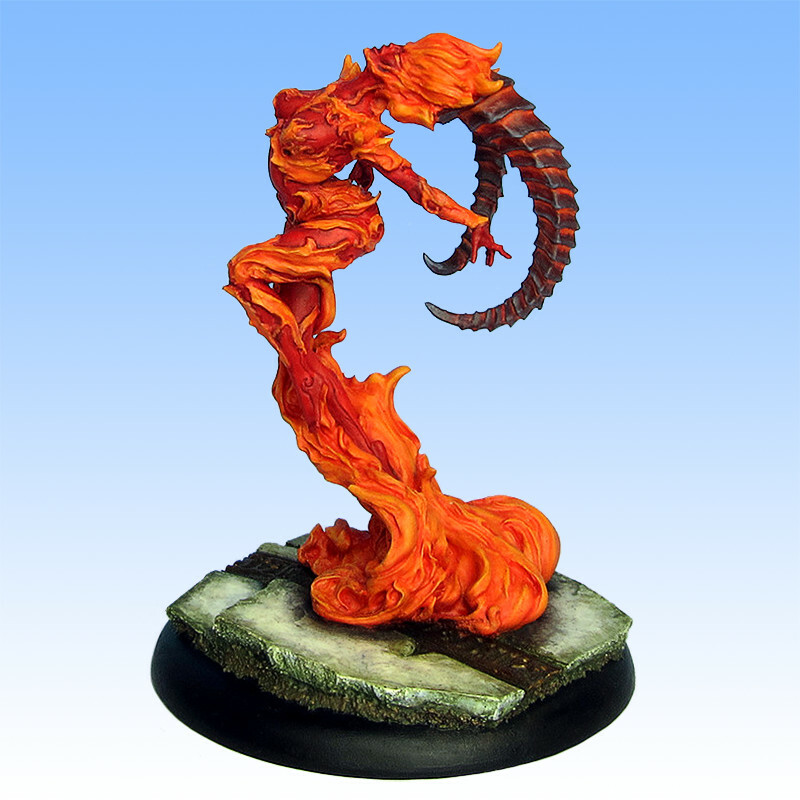 I’ve painted three of them for my RPG campaign in the last two years, the classic Fire Elemental and the more exotic Blood and Smoke Elementals. With the rising number of exceptional models for 3D printing available on the web I decided to invest into a 3D printer about two month ago. I went for an Anycubic Photon DLP resin printer and I am very happy with the printing results.